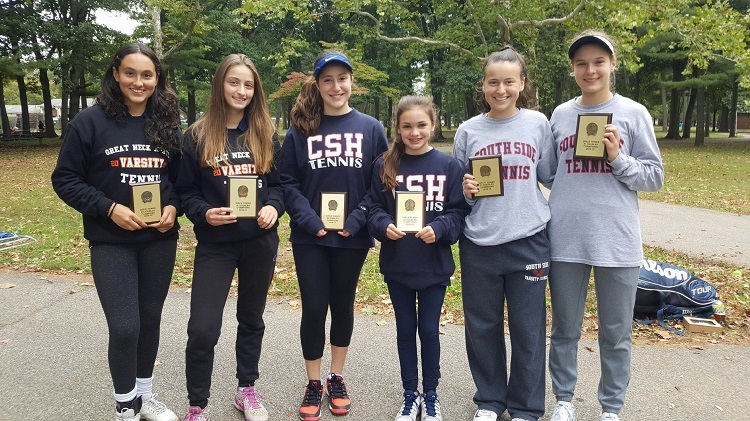 For the first time in eight years, the Nassau County doubles champion hails from South Side, as Julia Gentile and Lauren Zola teamed up to win the title on Sunday. 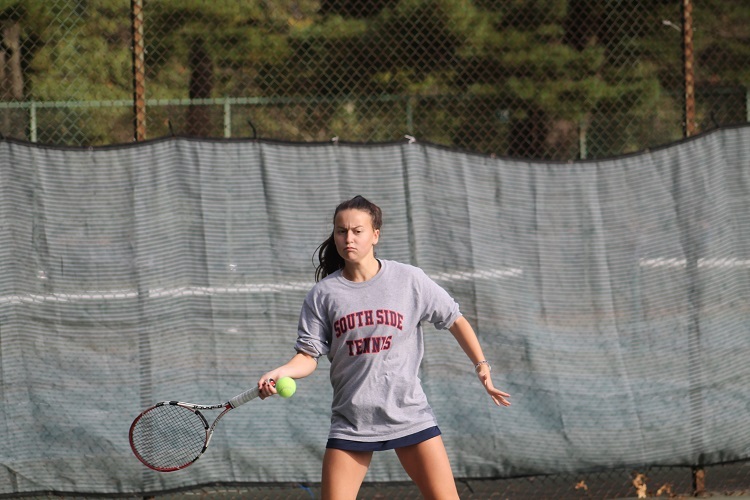 Zola and Gentile defeated Cold Spring Harbor’s Maddy Richmond and Nicolette Loeffler 6-2, 6-3 to claim the county title, the first for South Side since Deana Davoudiasl and Rachel Shenker won in 2010. That mentality proved to be crucial after the pair got off to a slow start on Sunday. 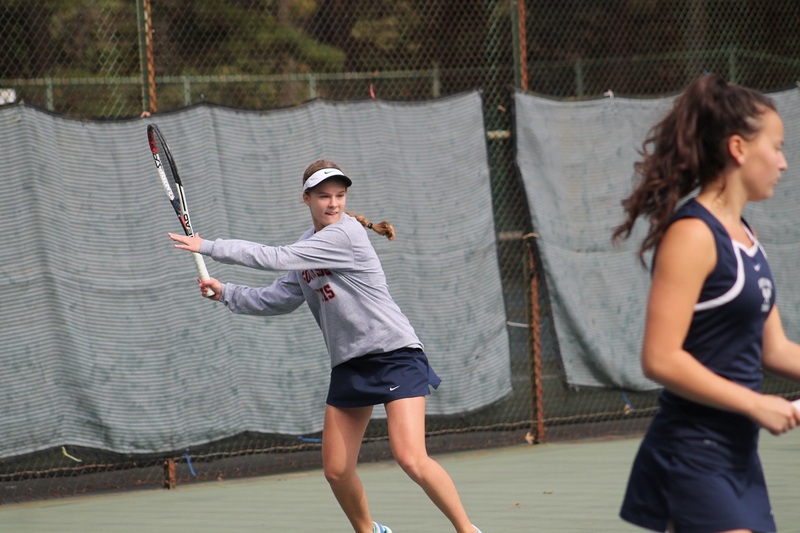 They dropped the first set of their semifinal match against Alina Lyakhov and Alyssa Ghassabian before coming back to win the final two sets, and then secure the county championship in straight sets. Zola and Gentile anchored the singles lineup for South Side this year, playing No. 1 and No. 2, respectively, but found time during practice sessions to work on their doubles game as they sought to improve on their quarterfinal showing last year. “We knew we had one more shot with them together before Julia graduates this June, and they were both eager to play again,” Colesanti. “We created a game plan and stuck it all weekend. We tried to maximize their strengths by having Lauren doing most of the heavy hitting on the baseline because her groundstrokes are so solid, and we had Julia doing most of the work at the net with her great volleying skills and poaching. When opportunities arose during points, the plan was to move forward together and take over the net. 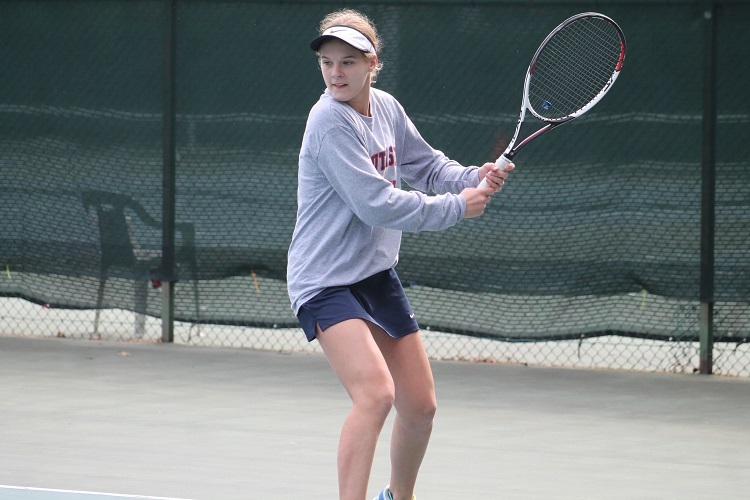 The pair will be joined at the state tournament by Richmond and Loeffler, as well as Lyakhov and Ghassabian, who defeated Port Washington’s Brittany Polevikov and Charlotte Forman 7-5, 6-0 in the third-place match.